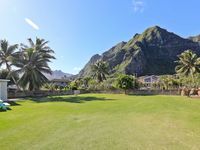 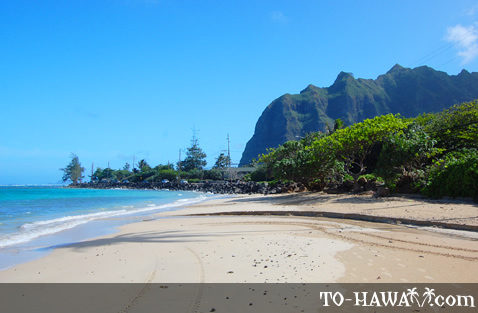 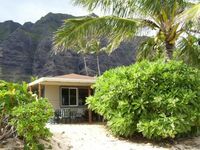 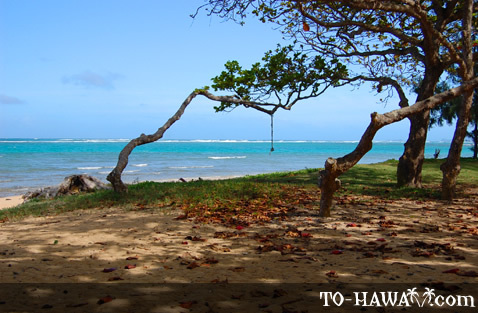 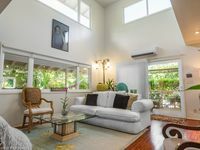 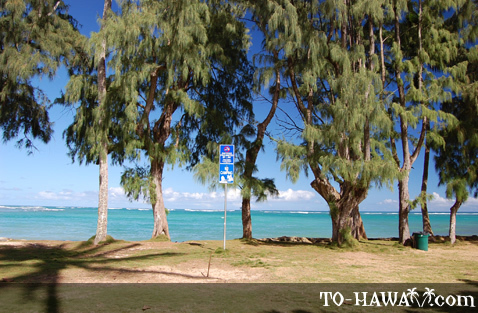 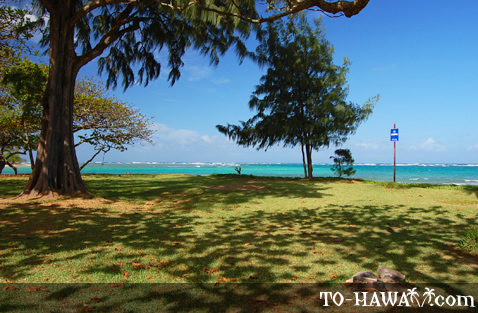 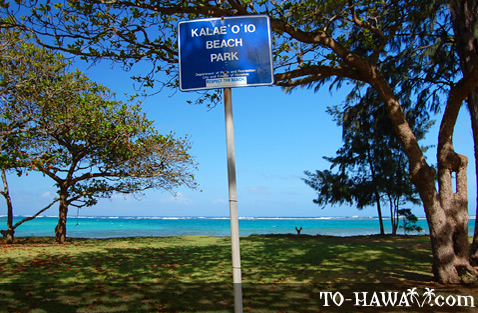 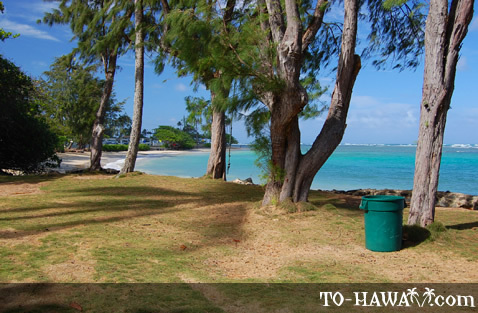 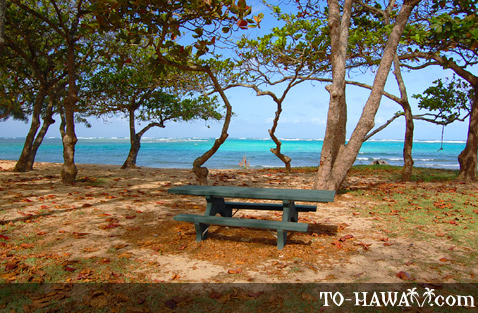 Kalae'o'io Beach Park (see more photos, view panorama) is located right along Kamehameha Highway on Oahu's windward coast. 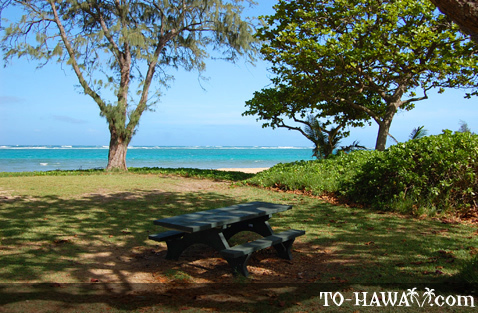 Even though it is just about one acre in size, it is a nice beach park with a sandy beach and a grassy area with picnic tables and trees. 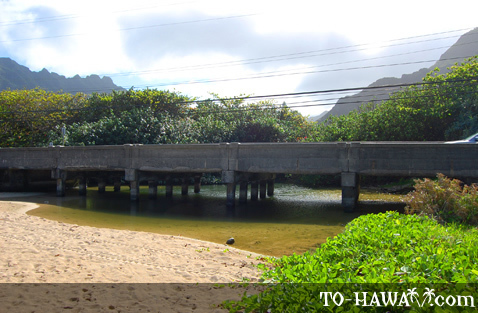 In the southern part of the park is a bridge that leads across a small stream. 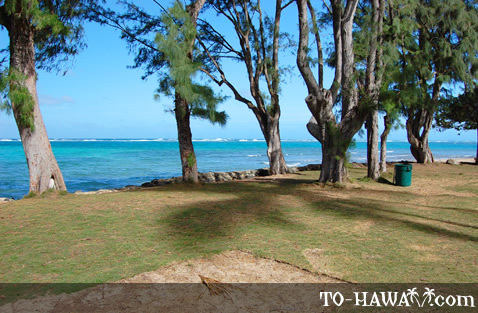 If you go close enough you can spot small fish in it. 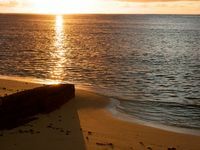 The nearshore ocean bottom is a mixture of rocks and sandy patches. 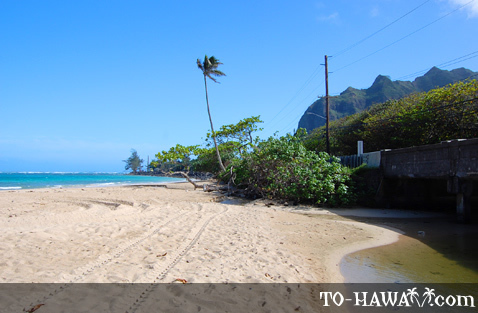 A channel cuts through the reef here. 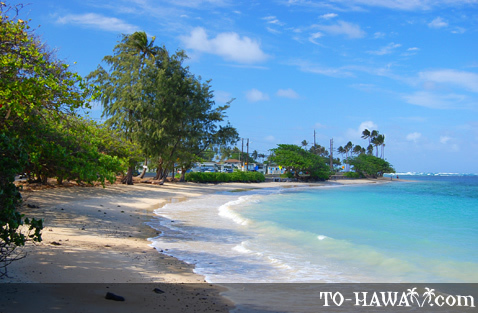 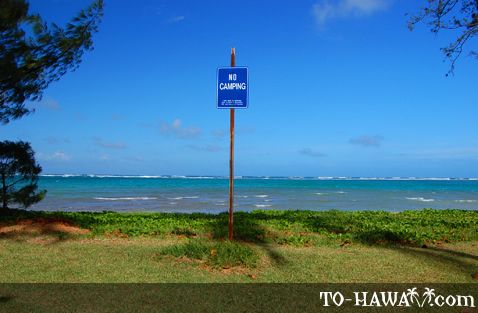 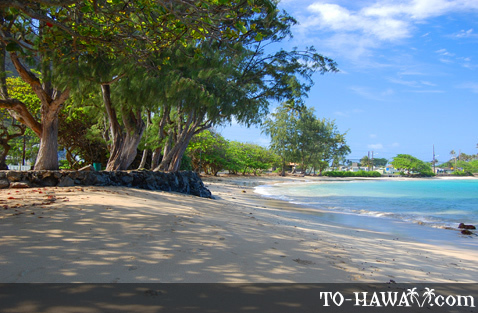 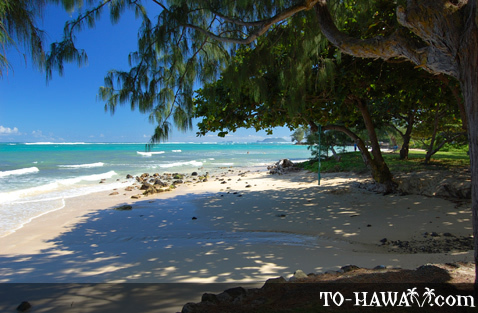 Directions: The beach is located along Kamehameha Highway. 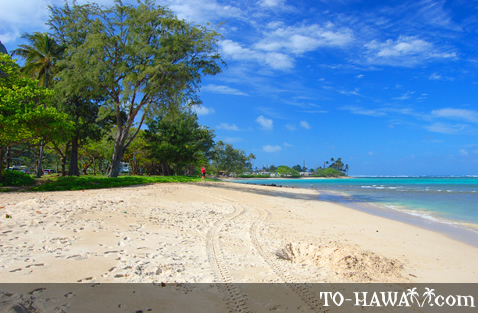 This beach is not yet that popular among tourists (tourists please don't read this, LOL) but as a local it is one of my favorite. 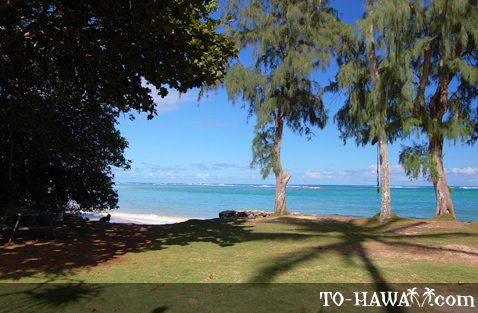 Plenty of shade and good swimming in the summer. 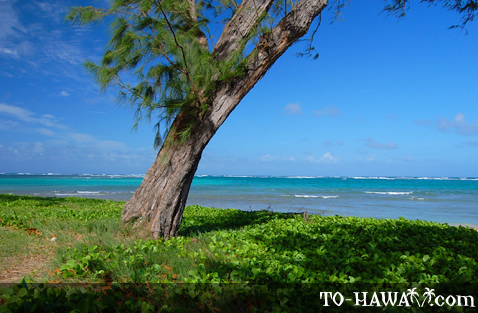 The only disadvantage is the noise from the highway.